I love dimmer switches; I use them to control a lot of lights in my home. Installing a dimmer switch is a common enough DIY project, but like any other DIY project, I often find installation problems. 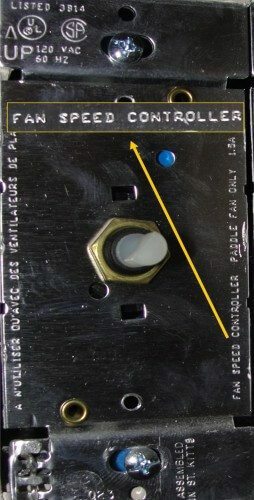 I recently wrote about overloaded dimmer switches, but the most common problem I find is a dimmer switch connected to a ceiling fan. Standard dimmer switches should never be used to control the fan motor on a ceiling fan because the dimmer could damage the fan motor, or overheat and start a fire. To know whether a dimmer switch is intended for use with a fan, just remove the switch cover; there is typically fine print right on the front of the switch saying whether or not it can be used with a ceiling fan. 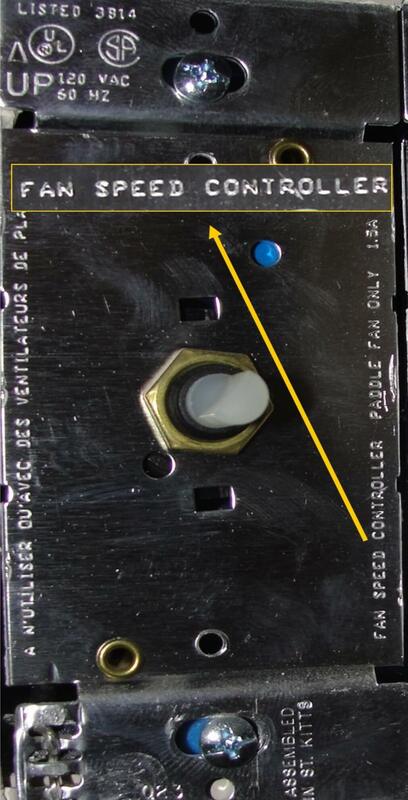 The photo below left comes from a fan speed controller - this is what needs to be used on a ceiling fan. 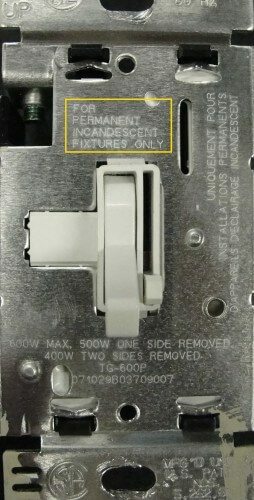 The photo below right comes from a standard dimmer switch, which should not be used to control the motor on a ceiling fan. A safe repair can be as simple as replacing the dimmer switch with a standard toggle switch, but you also lose the ability to dim the light. If the wiring for a ceiling fan is already in place in your home (ie - you have separate wires for the fan control and the light control), it should be fairly easy for a qualified person to wire up separate controls for the fan and the light, which will include the ability to dim the light. If the ceiling fan was a retro install, there probably won't be proper wiring in the wall for separate fan and light controls; not to worry though. You can actually purchase a device that will do this - it consists of a wireless remote and a receiver that gets wired directly in to the fan. 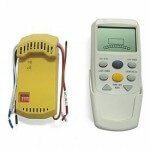 These devices work very well, and as far as I know, they can be used with any ceiling fan.